Moral Fibres quietly turned two this month and as part of reaching this milestone, I thought I’d cover something a bit different today. One email I often get in my inbox is from readers asking advice on how to set up a green blog, and I thought I’d address these questions in a mini-series about green blogging over the next few weeks. If this advice on starting a blog isn’t what you’re after, then do peruse the archives (this post on ethical alternatives to Amazon is a popular post, as is this guide to ethical fashion on a budget), or come back tomorrow for a return to normal posting! First things first, before you can even think about starting a blog, you need to decide what you want to blog about. It doesn’t matter if the focus of your blog changes over time, but it’s best to have a rough idea of what you want to blog about, and have a think to see if you can keep finding topics and ideas to blog about on that particular theme. Want to start a blog about your favourite vegetarian recipes, and have 20 really good recipes up your sleeve? What are you going to do once you’ve blogged about your 20 recipes? Could you keep making new recipes? It’s good to think about these things before you start! Most of my favourite blogs blog on a particular theme – e.g. Oh, Ladycakes blogs about vegan baking and A Thrifty Mrs blogs about living on shoestring. I always know what to expect when I visit the sites and I like that. Likewise, I keep the theme of Moral Fibres to green and ethical living as you’d be a bit confused if you came on here one day and was talking about fast cars, or my ten favourite high street fast fashion finds. Don’t get too hung up if you don’t have a specific theme – some people just blog about their daily life and those kind of blogs can be fascinating – it just might be helpful to have some kind of focus for your blog so that your readers know what to expect when they visit and to help you decide what to blog about each time you sit down to write. Before starting a blog you’ll need to pick a name. It’s best to pick a blog name that reflects the focus of your blog before setting up your blog as you’ll need a blog name for your blog address! I’d recommend picking something short and snappy – long names are harder to remember for readers who might have found your blog once and are trying to remember the name so they can visit again! It can be hard to settle on the right name – make a list of your favourites and then search the internet just in case there are sites with the same name. Now that you’ve got your theme and name sorted out, the next step in starting in blog is picking a blog platform. There are quite a few different blogging platforms out there. The most popular ones are probably WordPress and Blogger. I started off blogging on Blogger 6 years ago, when I used to write on a now defunct blog about things going on in my life. Blogger is free and really easy to use and you can set up a blog in minutes. It’s not particularly customisable but if you just want a blog and don’t want to do anything fancy then it’s really user friendly. It’s a great way to dip your toes into blogging without any financial outlay or running costs. With WordPress you can get a WordPress hosted wordpress.com account, or a self-hosted wordpress.org account. I appreciate this may sound like a foreign language to you, and you might be wondering if there is much difference between a .com and a .org WordPress acount – but trust me, there is a huge difference! WordPress.com works a lot like Blogger and you can set up a blog in minutes free of charge. There are no running costs involved and quite a few free ‘themes’ to choose from allowing you to change the look of your blog without any knowledge of HTML! It’s also great for beginners looking at starting a blog for the first time. There are also quite a few other blogging platforms such as Squarespace and Typepad (which has a small monthly fee). I don’t have any experience of these, but I’d imagine they’re broadly similar to wordpress.com or Blogger. If you’re completely new to blogging then I’d definitely go down the hosted blogging platform route. It’s a nice easy and cheap route into starting a blog without having to learn any technical web stuff. I’ve gone down the self-hosted route for Moral Fibres and have a wordpress.org account. Wordpress.org itself is free, but you need to buy a domain name and pay for web hosting, and find a theme for your blog. It sounds complicated and indeed it can be a little tricky at times if you’re not technically minded. The good thing is that once you’re over that initial hurdle of getting set up then thankfully it should be plain sailing! I have to add here that my partner is a graphic and web designer so I got (and get!) a lot of free expert help. If you’re not good at this kind of thing and aren’t lucky enough to have someone computer savvy in your life then it might be worth paying someone to help you get set up. 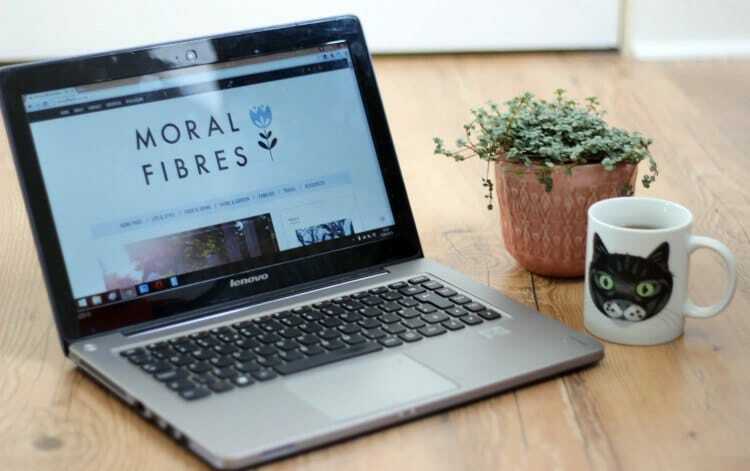 For self-hosted blogs you need to buy a domain name (mine is moralfibres.co.uk). I bought mine from 123-reg – the name you pick and the ending (e.g. .com, .co.uk, .org, .org.uk) will determine the price you pay. You might be looking at around £15 a year or so depending on the name and ending. For self-hosted blogs you also need to buy web hosting. I’m loathe to recommend my blog host as I’m looking to change hosts due to issues, but there are heaps of different web hosts out there, including web hosts that say they are environmentally friendly. Depending on your plan, web hosting could be around £30 a year. A theme is how your blog looks. There are some free ones available through WordPress but I bought a paid for one from the Themeforest marketplace– mine is Le Tour (affiliate links). There are so many different themes to choose from at a very reasonable price (roughly $45/£30), and you purchase them direct from the developer. Most theme developers also provide pretty good support as part of your purchase – I’m on my second theme now and each developer has been great at providing technical support! You can also buy themes through Etsy (affiliate link) – there are lots of lovely looking ones on there for an average of about £20/£25. My advice is to look for one that is responsive (scales down to work effectively on mobile devices and tablets) as this is one area that is set to grow and grow. 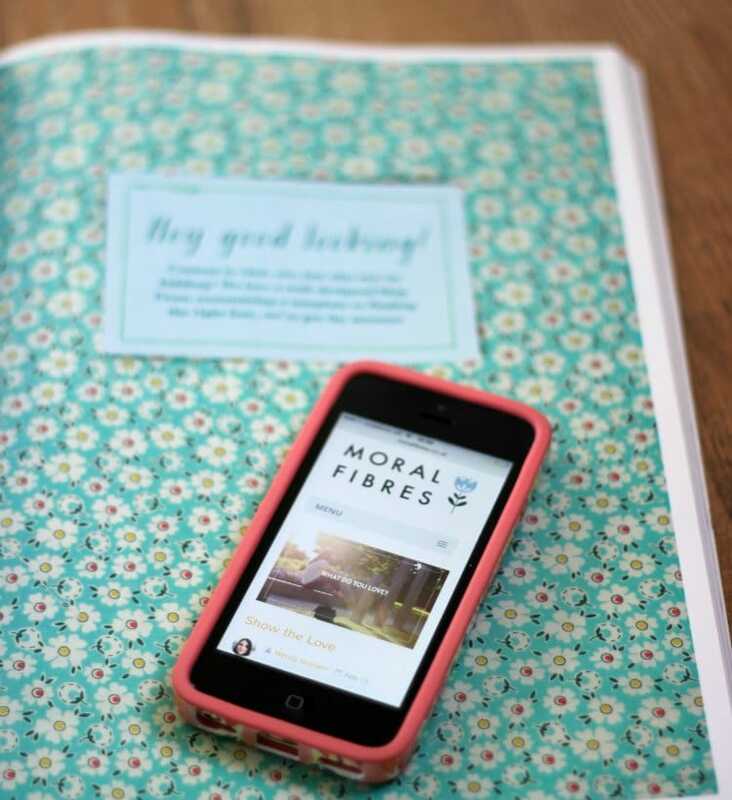 When Moral Fibres first started two years ago 20% of my traffic was from smartphones and tablets – now it’s more than 50% – so it’s important that your site works with your readers devices. Within your theme you can install widgets – plugins that you can download from WordPress that have a specific functionality. I have various widgets – from anti-spam widgets, to a special Google Analytics widget that tells me how many visitors the site gets. Most widgets are free so you can download and install them and have a play about to see if they are for you. This is the bit I love most about WordPress – there are literally thousands of different widgets, so you can really customise your blog and get it doing and looking exactly how you want it to! Now you’re all set up you’re ready to start blogging! I’ll be back soon with a guide to writing and promoting your posts. If you’ve got any questions about setting up a blog or are looking for further advice drop me a comment below and I’ll endeavour to answer it as best I can. I’m not that hot on the technical stuff though, but I can try!! I would also mention that WordPress.com has very strict guidelines on sponsorships and affiliate advertising, so it’s best to self host or use another platform if you think you’ll run advertising on the site. I wasn’t aware of that with wordpress.com – good point to bring up! Blogger.com doesn’t have these guidelines so that’s a good free alternative if you’re looking to host advertising or think you might!